We’ve all heard the news about the Zika Virus, West Nile, Dengue Fever and other diseases carried by mosquitoes. But did you know mosquitoes are responsible for more deaths than any other animal? They are also harmful to our pets, livestock and other animals. Take back your yard, protect your family and pets and enjoy the summer by taking advantage of Sovereign Pest Control’s mosquito control service! Scratching your head trying to figure out how to get rid of those pesky mosquitoes? 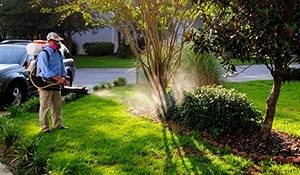 Look no further, Sovereign Pest Control’s Mosquito Control provides a thorough application and spray to the yard, trees, bushes, and shrubs. There is no longer a need to buy skin drying sprays, greasy itch creams, or expensive candles to get relief from mosquitoes. Enjoy spending time in the back yard without the worry of being bitten by those harmful and irritating creatures. Each highly effective treatment will provide 3-4 weeks of relief to allow an enjoyable comfortable living environment for family, friends and pets during the peak mosquito season! Don’t miss out on this month’s special! Contact your SPC representative today! Don’t forget to check out our Monthly Promotion regarding discounts on Specialty Services. 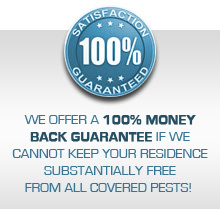 Contact a Sovereign Pest Control Mosquito Service representative for a no obligation quote.